Independent Technologies (IT) is a leading supplier of new and refurbished Cisco networking equipment including Cisco switches, peripherals, memory, cables and fiber optic solutions. IT is also an authorized reseller for IMC Networks, A-10 Networks, Websense, and Barracuda Networks. Challenging times and economic uncertainty call for creative solutions and new partnerships. Data center engineers and network managers have experienced great success utilizing an assortment of equipment that works best to fill their need and save money for their organization in the process. IT offers choice to our customers along with substantial savings and superior service. Through strong alliances developed with our global network of partners, we are able to deliver to our customers more efficiently and cost effectively than mainline distribution. If you are looking to complete your project ahead of schedule and under budget, then you are looking for IT. 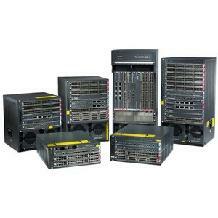 Sell your used Networking equipment to Us! The increasing demand for used and pre-owned networking gear means that your used Cisco and legacy routers and switches have value today. Maximize your IT budget by selling or trading your end-of-life or depreciated used Cisco, Nortel, or Extreme routers, switches, phone systems, or other peripherals to Independent Technologies. Sell your Excess Networking Equipment! Our goal is to exceed our customers' expectations at every opportunity. We maintain close working relationships with our clients and work overtime to optimize your network. Upgrading your network can be costly and expensive. Many large companies and institutions today appreciate that they can realize greater value in their IT budgets by using OEM and refurbished equipment. Utilizing refurbished Cisco gear can help you maintain and build your network without stressing your IT budget. Optimize your network and enhance your network security at a fraction of the price and ahead of schedule with Independent Technologies. IT continues to be a leading provider for hard-to-find, and discontinued or end-of-life Cisco hardware, including the Cisco 2600, Cisco 3700, Cisco 3800, Cisco 7200 and GSR 12000 router series, the Cisco Catalyst 2950, Cisco Catalyst 3550 and Cisco Catalyst 6500 switch series and all Cisco memory, modules, and cables. Our superior logistics ensures that products will be delivered to you cost effectively and on schedule. Contact sales@independentllc.com for all of your new or used Cisco needs today.